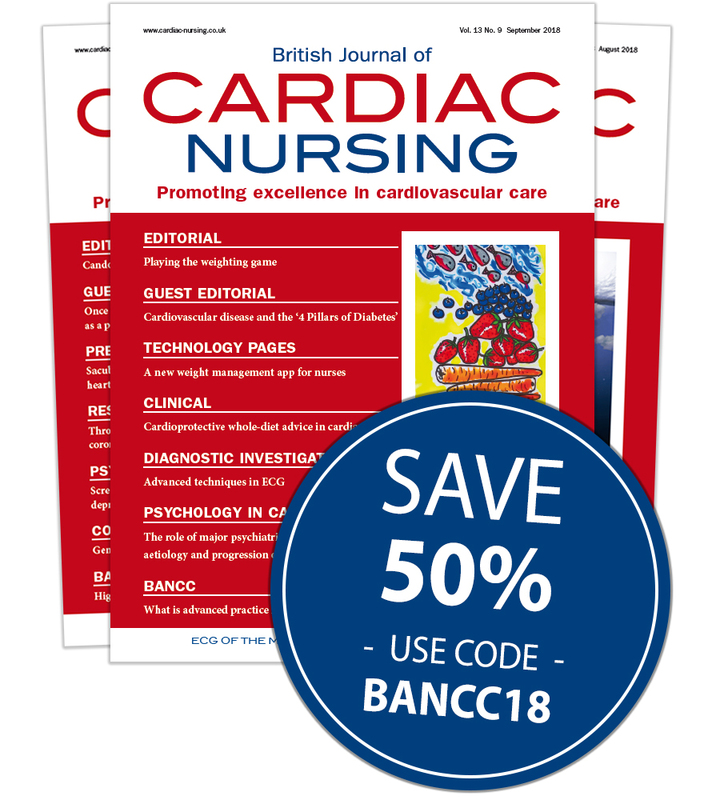 British Journal of Cardiac Nursing is the peer-reviewed journal dedicated to specialist cardiac nurses. Every issue contains high-quality clinical reviews and research, publishing the latest expertise and evidence in all areas of cardiology and cardiovascular care - information that is key to unlocking your full potential. All BANCC members are entitled to a 50% discount on their subscription - that's a saving of up to £103 per year! Select your subscription option below, and use code BANCC18 to redeem this offer. Your discount will be added at the checkout.